Vichy Canada has launched its brand new range of Aqualia products that focuses on using 97% natural ingredients to provide 48 hours of hydration and working to smooth out fine lines. 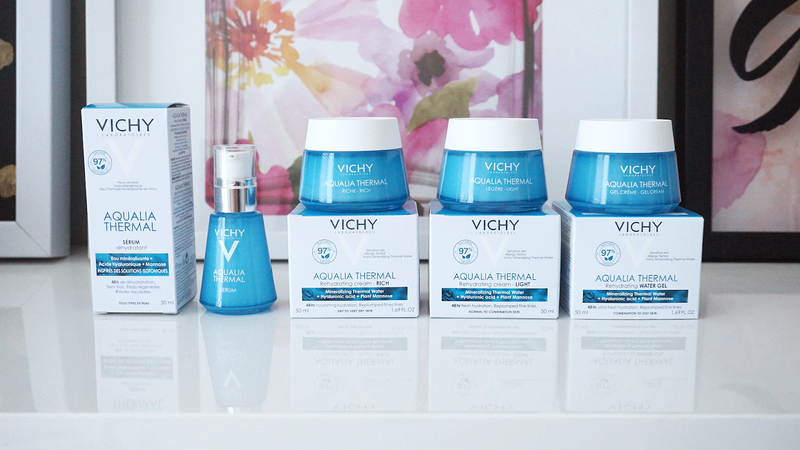 As with all regular Vichy products, it contains an anti-adhesion formulation to prevent pollution particles from harming the skin. 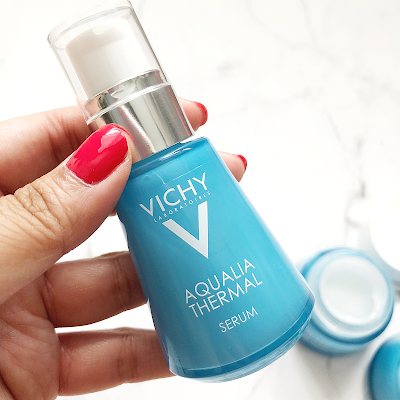 Some key ingredients in this new Aqualia range include the Vichy mineralizing thermal water, hyaluronic acid, minerals and vegetable mannose. All of these ingredients work to slow down water loss and strengthen your skin's barrier. 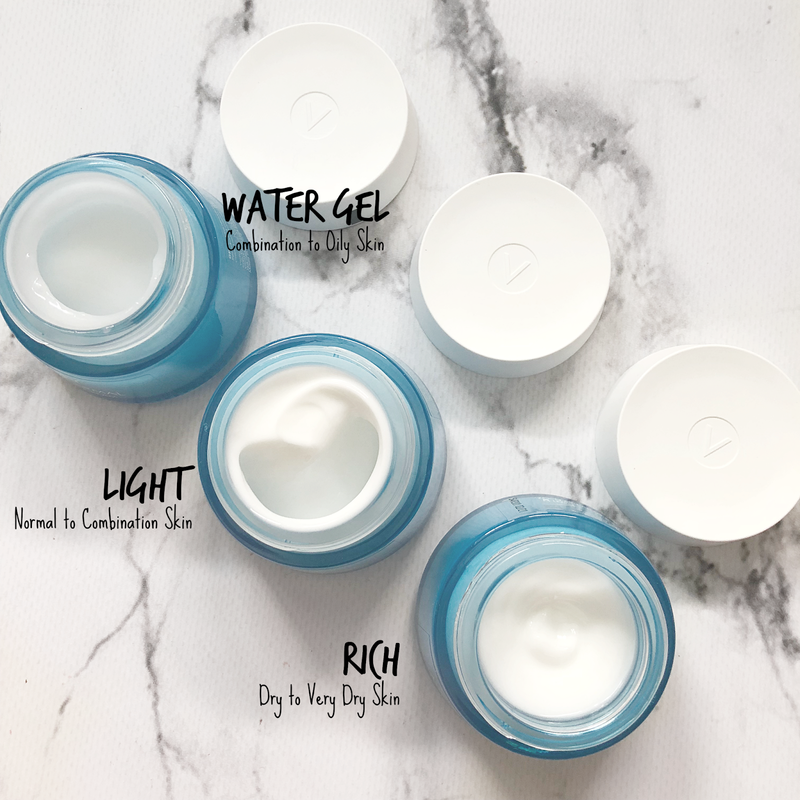 I personally am using the gel formulatiom now for my combination to oily skin. It makes my skin moisturized and plump. It's light weight and has a very subtle scent to it. It absorbs quickly on the skin and feels weightless. I gave the Rich one to my friend as she has dry skin. I will be saving the Light formulation for the colder months when my skin becomes more normal/combo. I do recommend the purchase of this product and the serum! *items were sent to me for review, all opinions are my own. I received the light cream from Influenster and was super excited to test it out! It unfortunately left my skin feeling tacky :'( but I'm curious to test the serum out! oh no!! I found that it was great at night sleep and forget it and in the morning it was hydrated. kind of like the laneige sleeping mask.. similar texture as well ! That's cool that they have different formulas of the same collection! I would definitely go for the rich cream for my dry skin!